Er was een islamitische verlichting, ver voor er een christelijke of een joodse was. De verlichting is niet beperkt tot één cultuur, het is een universele beweging. 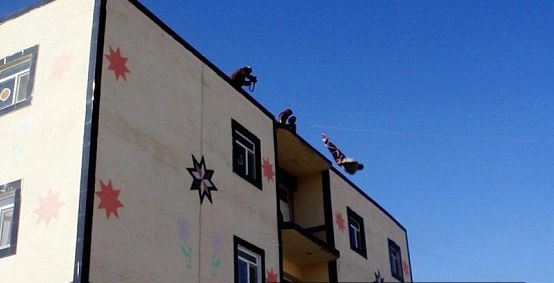 ISIS have murdered a man by throwing him off the top of a high roof in Iraq after he was accused of being homosexual. Photographs have emerged from the scene of the horrific act which the jihadi group claim took place in al-Furat province. ISIS claimed the victim was arrested and subjected to a mock trial at an Islamic court before his execution. Blindfolded and hands bound, the prisoner is made to stand on the edge of the roof while several guards watch on. On the ground, a large crowd of civilians and fighters can be seen waiting for the horrific punishment to be carried out. The victims is shown being pushed off the building to his death. Ondertussen heeft ISIS in Libië weer een stad veroverd. Dus tegen de tijd en als ze al verslagen worden in Irak en Syrië zitten ze al lang en breed ergens anders. 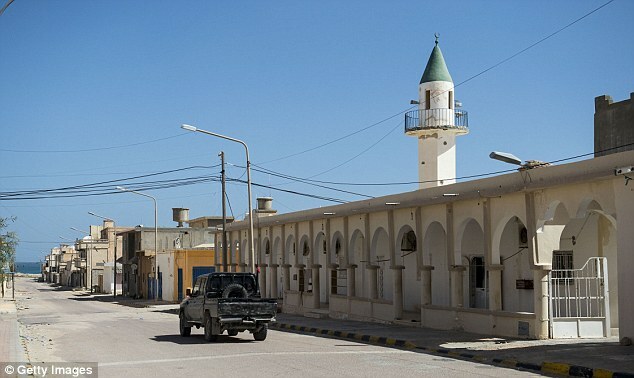 ISIS militants paraded severed heads from the back of a pick-up truck after seizing control of a fourth Libyan city in the Mediterranean country, according to eyewitnesses. Locals say jihadists drove through the coastal town of Bin Jawad shouting ‘Allahu akbar [God is great]’ from the gruesome convoy. A number of residents fled in terror last week, not long after the town fell into the terror group’s hands, while others were ordered into a sports stadium. Their fate is unclear.